Homebaked is a community land trust set up by local people in Anfield, in order to create affordable housing and help regenerate an area of Victorian terraced housing which for years had been blighted by the threat of demolition as a result of being located in a Housing Market Renewal pathfinder area. 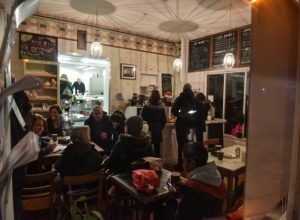 It grew out of an Arts project in 2010, called 2Up2 Down, which used a disused bakery adjacent to Liverpool FC, as a base for engaging local people in discussions around the future of the area. 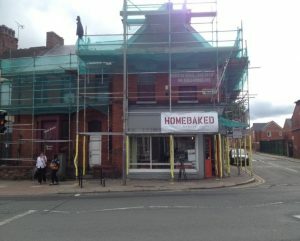 Out of this came the idea of reviving the bakery as a social enterprise, along with creating housing for local people. The CLT was incorporated in April 2012 to take on a lease of the bakery building from its owners, which included the accommodation above, in order to develop social housing, training and employment opportunities, buildings, workspaces, and amenities for the community. A little later in June 2012 a community benefit society was set-up to run the bakery as a free standing social enterprise and to provide food products to the local community. The CLT itself, currently has 75 members, 75% of which are local. For both organisations to have a secure long term future, they needed the bakery and its accommodation to be owned by the CLT. 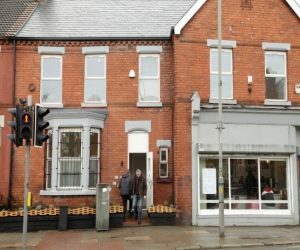 Following negotiations with Liverpool City Council, the local authority bought the bakery from its owners and are committed to transferring it to the CLT for £1, once the accommodation above it, for up to eight people, is renovated. With a grant of £154k from Power To Change the work has been carried out and will provide, accommodation comprising four shared double rooms for under 35s. Homebaked also received a further £29k from Power To Change to cover the cost of engaging three trainees, along with a supervisor, in renovating the flats. On completion of the building work the CLT will have a valuable asset and an income stream from both the shop and the accommodation, while the bakery has a social landlord and long term security. In addition, the CLT has a project/ community space in the adjacent Market Square, supported by Lord Salisbury, which is has been renamed Homesquare. 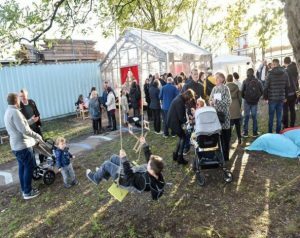 This includes a plan to develop a new micro-greens container based business called Home Farm and in addition a programme of community events to animate the space is being planned for 2018. 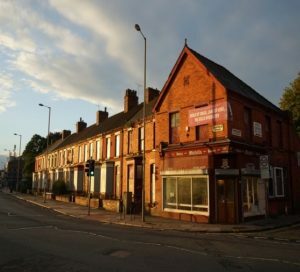 The CLT is now in discussion with Liverpool CC about the future of the site adjacent to the bakery, where nine Victorian terraced houses stand empty. The aim is to look at ways to regenerate the local high street and provide commercial units for rent to independent or community businesses with homes above for rent or sale. The exact nature of the scheme – whether a new build or radical re-use of the existing properties – is under discussion. The bakery is interested in expanding their wholesale pie production business and may be interested in occupying a commercial unit. The CLT is also looking to take stewardship of the large public open space – The Recreation Ground – that is located directly behind the terrace of houses, with the potential to create play areas, growing spaces, sports, leisure and social spaces.